One slot piggy banks have been around for centuries, but the world has changed. Now we have a highly sophisticated financial system, a system whose complexity has outstripped the ability of most adults, many of whom grapple with credit card debt, even bankruptcy. Personal finance education needs to start young. How? With the same universally loved childhood toy, the piggy bank....but with a 21st century twist! 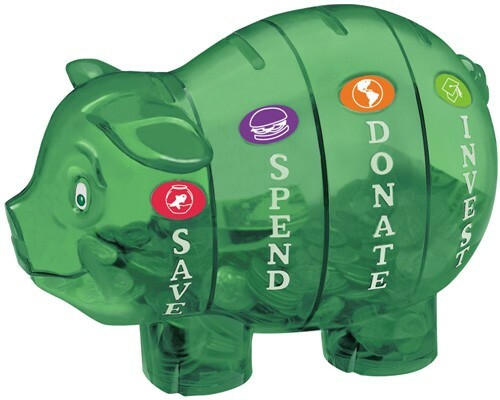 The Money Savvy Pig piggy bank has four chambers, one for each of the four money management choices a child should be taught from the time they are small: Save, Spend, Donate, and Invest. Each compartment empties independently so your Mighty Girl can learn how to achieve her financial goals. 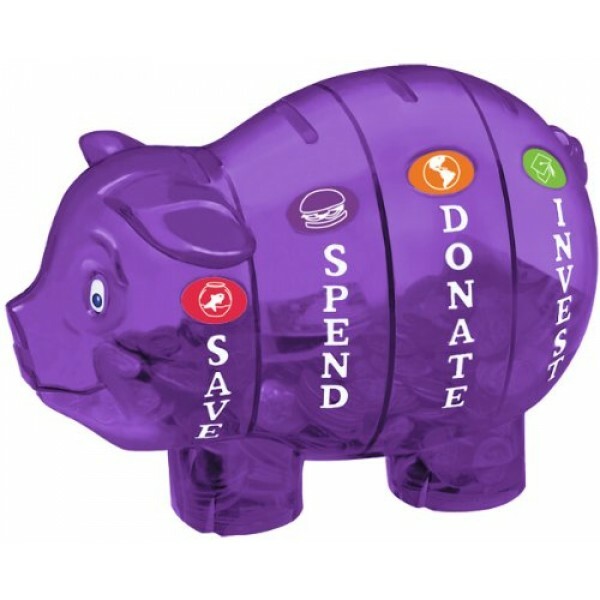 The Money Savvy Pig is available in a variety of different colors. For more toys that teach children about saving money, visit our Money Management Toys section. For books for parents on how to raise financially savvy kids, visit our Financial Management parenting section.